Mr. Curtin serves as UPM’s Chief Operating Officer. He has 40 years of industry experience in both domestic and international markets related to quality, manufacturing, supply chain, pharmaceutical technology and engineering. Mr. Curtin has held executive management positions at Parke-Davis/Warner Lambert, King Pharmaceuticals, Graceway Pharmaceuticals, Rockward Pharmaceutical Consultants, Actient Pharmaceuticals and, most recently, Lynwood Pharmaceuticals. 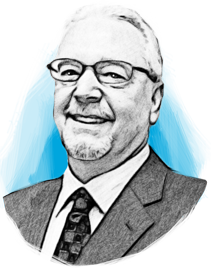 He has overseen the design, construction and validation of multiple pharmaceutical facilities and utility systems covering all dosage forms both in the U.S. and outside the U.S.